Today we set out in two teams for Azraq and Zaatari refugee camps. Working with our collaborator, the Norwegian Refugee Council (NRC). We provided meditation workshops and multicultural concert for NRC staff and Syrian refugees. 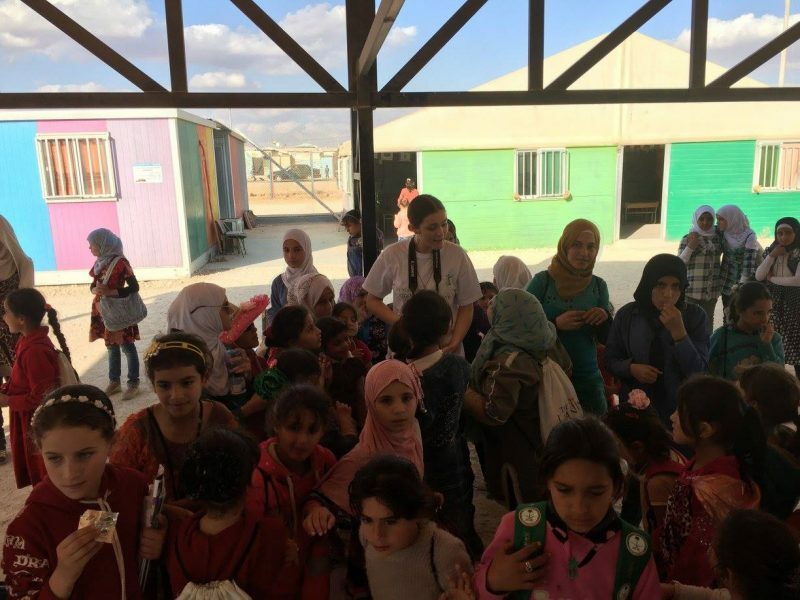 While half of M2R team were at Zaatari refugee camp, the rest of us were conducting meditation workshops at the Azraq refugee camp. Azraq is a home of nearly 32,000 refugees, roughly 20,000 of which are children. The NRC, who collaborated with us on this programme, admitted that the camp has undergone visible changes over the last few years and that it is considered one of the best refugee camps in the region. The development and modernity of the camp indeed exceeded our expectations. Set up only 3 years ago, Azraq has benefitted from generous humanitarian assistance and a relatively small number of beneficiaries, also making it easier to maintain. The camp had sports facilities and a teaching centre for different classes, such as tailoring, barbering and cooking. Yet, people admitted they needed to make time for themselves that would allow them to connect with their true self. Fortunately, we were able to conduct workshop meditations with a group of beneficiaries and staff. The programme ran smoothly and the general feedback we received was that they have been waiting for an opportunity to silence their minds. Enabling them to experience what I believe is their birthright felt like a true privilege. As compared to 2013, Zaatari was much calmer this time. We started our day with a workshop with NRC staff. The workshop was followed by two workshops with Syrian refugee youth – one with boys and one with girls. There were about 35-40 participants in each session and silence in meditation built up, as well as the equanimity we experienced within. Our host provided us a delicious traditional Jordanian dish, made by restaurant in Al-Mafraq, delivered to the gate of the camp and brought to us by NRC staff. In the camp, with deprivation, one truly appreciates that nothing should be taken for granted. In the afternoon, we provided a multi-cultural concert for Syrian students at one of the schools supported by NRC in the Zaatri camp. There were children and youth, very shy and yet excited to watch the performance. The concert was outdoors, mostly acoustic, and most of our audience stood while listening and going through the meditation exercise. However, no words could describe how it was with 250 of us standing in the desert, far away from any material comfort, yet finding the comfort within through the silence of meditation. Pure music and dance opened the hearts of the people – our audience enjoyed the concert so much, we forgot about the time and after the concert, there were so many faces lit up with smiles and laughter. 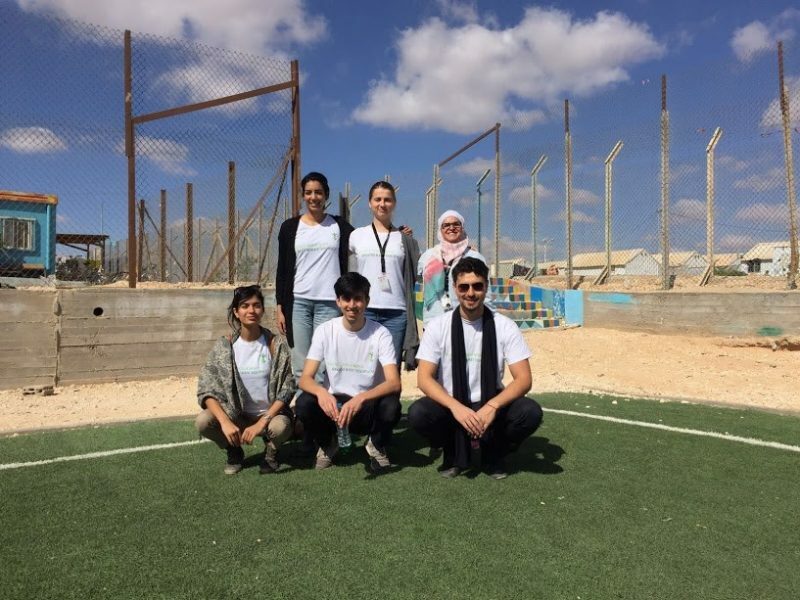 This experience fills your heart with joy and changes your perception of Zaatari camp, from a dreadful humanitarian crisis, to a land of joy and hope. Many things have changed since 2013 in Zaatari, but this remains the same.